Hannah Ost | Music Matters | Because it does. Doesn't it ? This session got off to an absolutely flying start. 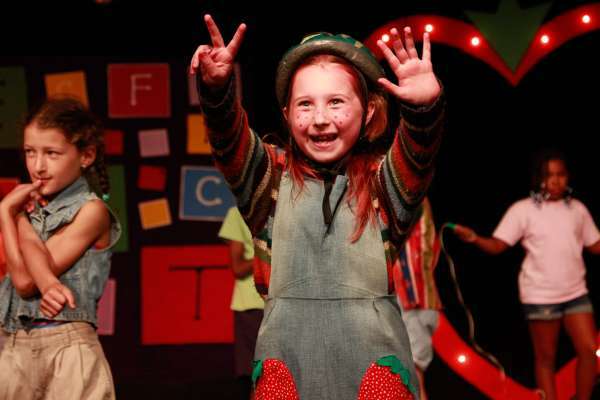 I got put on two shows – a junior show called Freckleface Strawberry, which was, needless to say, adorable. Also, the director of the camp itself runs one show per session. This time it was Billy Elliot and I got one of the Musical Directing roles on the show team! It was so nerve-wracking being given so much responsibility, especially with the time constraints; I only got the score two days before the first rehearsal, so very little time to prepare. As normal, I was also teaching six, half-hour voice lessons per day, so my schedule was jam-packed! Once the session got started, I was rarely two steps away from a piano. I even took part in the Staff Show (High School Musical), in which I played Kelsi – the piano playing Musical Director, what a coincidence! The camp gives out scholarships to certain children, particularly for music, and many of them are invited during the final session of camp. I had such wonderful musicians in my cabin (where my co-counselors and I looked after thirteen children, outside of my jobs in the two departments I worked in). Five of them were music scholars and one was even the leader of the concert band! We had many a chat about what music was like where we are from and the kids were excited to learn about the music department at the University of Kent. Making a show in twelve days is incredibly hard. We had two, hour-long rehearsals per day, so effectively each show is made in twenty-four hours: just one full day. As the only English person on the Billy Elliot show team, it became my job to teach the cast, aged 11-17, the Geordie accent, which, as someone who has lived in Kent for their entire life, is not something I was particularly familiar with! I put to use all of the skills I learnt in first year Linguistics classes and did some online research and by the end of the rehearsals, I had most of the kids doing pretty decent Geordie accents… even if I do say so myself! I also taught two of the songs from the show (as there were three MDs working on the production) which the cast absolutely nailed. I’m sure they are all future Broadway stars. Freckleface Strawberry was a different story entirely. I did become somewhat of a babysitter during this show; sitting with the kids and helping them to learn the songs – singing the lyrics with them when they got stuck. Our youngest cast member was just five years old, so needed a little push in the right direction occasionally! 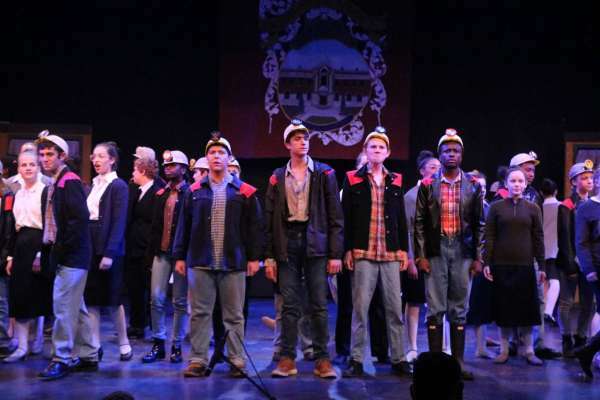 Both shows were hugely successful – full standing ovations at every performance. It is an indescribably amazing feeling to see a cast of young people standing on a stage, belting out music you have taught them and absolutely having the time of their lives. When camp came to its end, everyone was incredibly emotional, me especially, as Billy Elliot was the final show, on the final night of camp. Afterwards, many of the students I had taught from the session, including some I had taught for multiple sessions, came up to me to thank me for what they had learnt. It was very moving and a bittersweet end to my time at French Woods Festival. I did also get to see a bit of America when camp finished! Times Square, Broadway, even a trip down to Universal in Florida were planned for my last ten days in the US, before my flight back to Heathrow. All summer long, I kept a travel journal and I actually managed to visit seven states during my stay! It’s been not just a learning experience, but a cultural eye-opener as well. I’ve met so many people from all around the world and have friends in not just America, but Australia, New Zealand, Brazil, Mexico and many more places too – I am so grateful and humbled by the experience. I’d like to thank everyone who made this past summer possible – the music department at the University and all of its patrons. 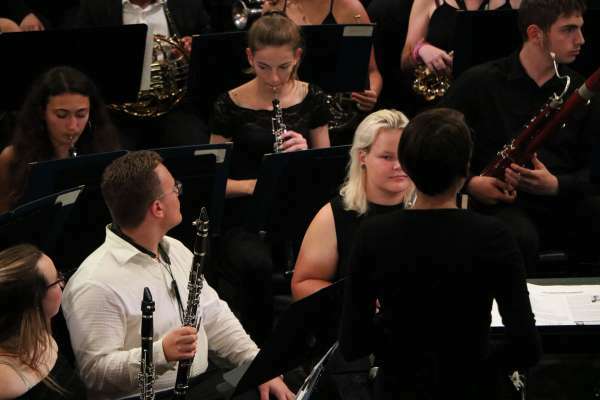 It has been utterly life-changing and I picked up many transferrable skills which I am now applying to my conducting, musical directing and vocal classes here at Kent. This experience has been one I will definitely remember forever! I’ve just finished at camp and have so much to write about. It’s been so busy, I’ve had no time at all to blog! Here it is, my second session at camp, which brought lots of challenging hurdles to overcome. I mentioned in my last diary entry that I was going to be the Musical Director and play piano in the pit band for the show Junie B Jones. 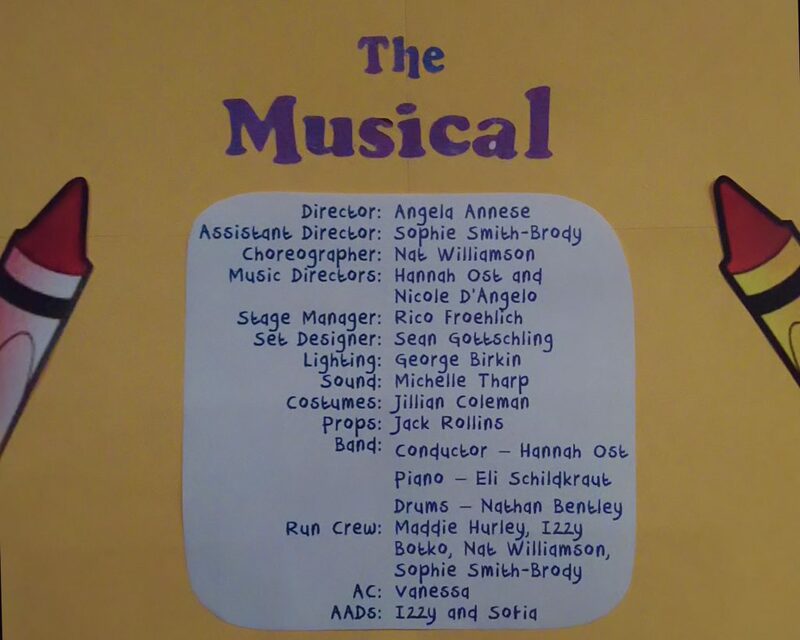 Well, only 50% of that turned out to be true; I was the Musical Director for the show, but since we ended up using a drummer for the show as well, I decided to conduct and somebody else stepped in, to fill my shoes as pianist. It was a real learning experience to conduct both the musicians and the performers together, especially seeing as the performers were so young – the youngest was nine years old! 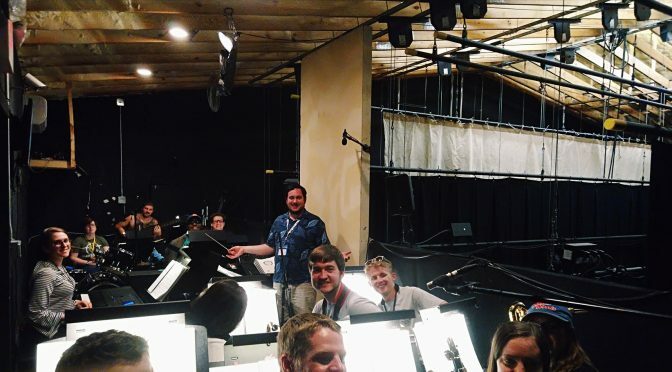 Myself and my Co-MD, Nicole, taught the full score in what was effectively 24 hours (12 days of 2 hour rehearsals) and the show was a huge hit with parents, staff and campers alike. Definitely a highlight from my time at French Woods. Again, I taught a lot of voice lessons and it was great to see how much the students learnt in just three, half-hour sessions. That’s all for this post, I’ll post an update with all the details from my third and final session at camp soon! Read the previous extract here. So the first of my three, three-week sessions at camp has come to an end. I can’t believe it but I’m now halfway through the second! Each day seems to pass by so slowly but looking back I can’t believe how fast it has actually gone. Both of the shows for which I am Musical Director have opened and closed and went down very well with each audience. The little kids in Snow White were very cute and even though some of them are only eight, we still managed some two-part harmony with them! 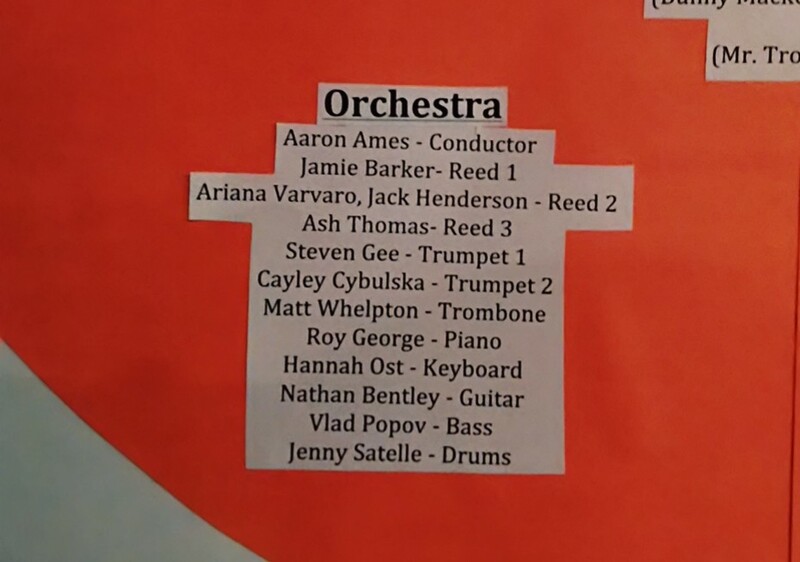 James and the Giant Peach was fantastic – I played Keyboard in the pit orchestra for that as well which was tough since I didn’t have much time to learn the score. It all came together in the end though and we had a fabulous three-night run during the festival weekend at camp. 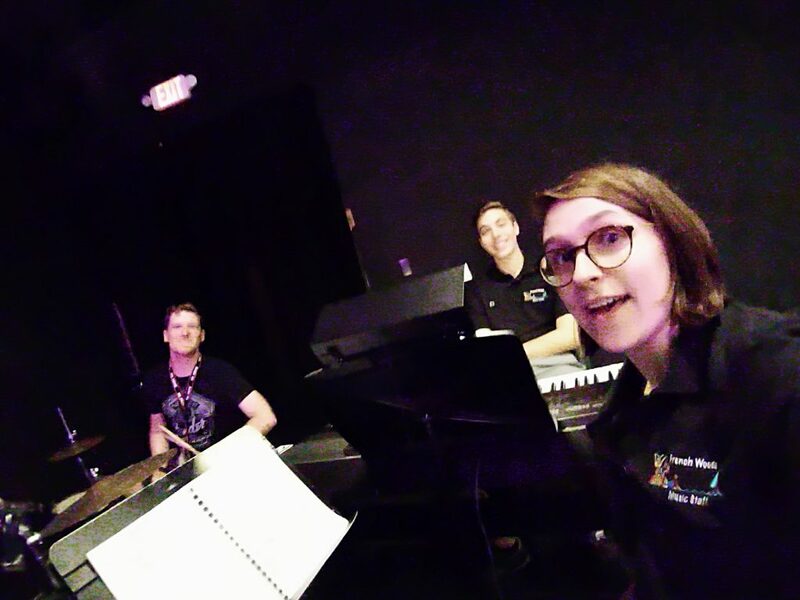 Moving onto this session, I am the Musical Director for a show called Junie B Jones and along with my other MD, we have taught just over half the show in twelve one-hour rehearsals! Our dress rehearsal is next week; I am busy learning the piano score for the show as I will be playing in the pit for that show too. That’s about all I have for now. I will bring another update after this session ends! Read the first entry in Hannah’s American Diary here. 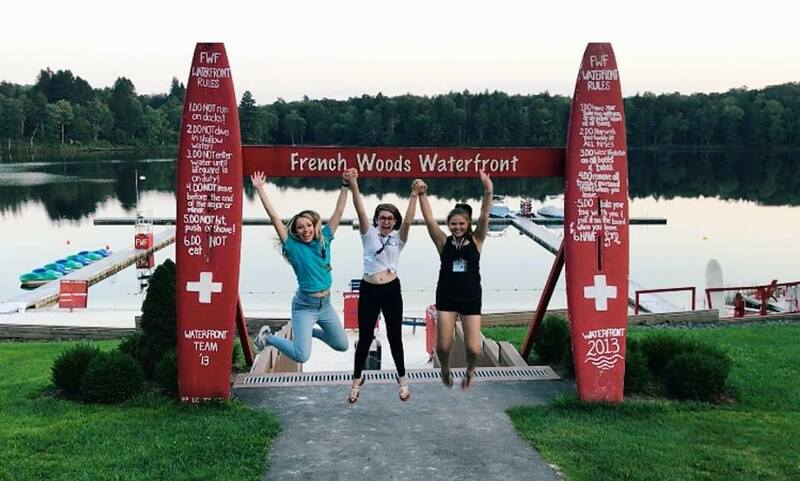 It’s been almost a month since I landed in the US so I thought I would update you on what I have been doing at French Woods Festival here in New York! 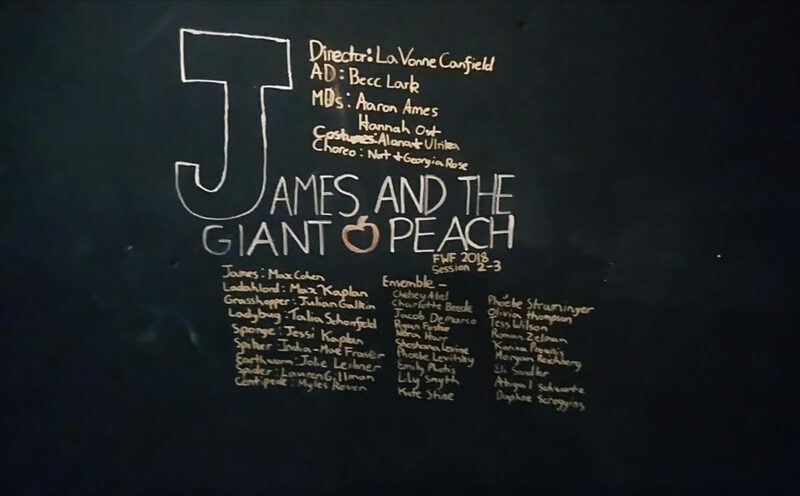 After lunch, I am the Assistant Musical Director for two shows: James and the Giant Peach and a rewrite of Snow White which I have helped rewrite some music for. I mainly teach the solo numbers, while the Primary MD teaches ensemble songs. I’ll be playing the Keys 2 part in the pit band for the first. I have also been given my assignment for the next session, which begins next week. 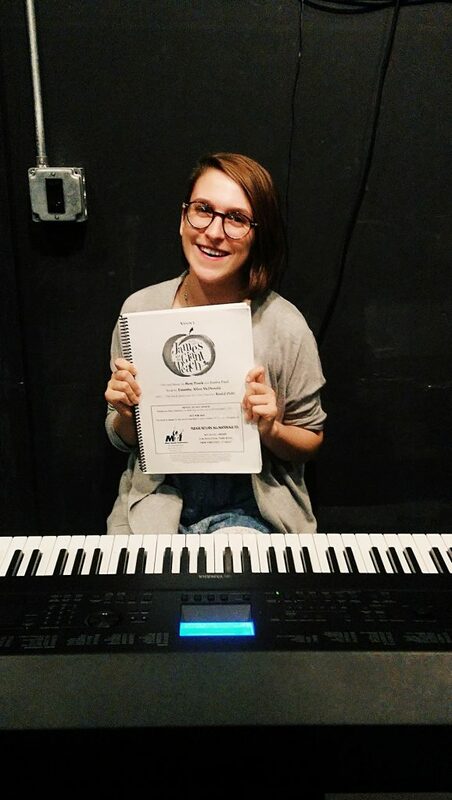 I’m going to be the Primary Musical Director for a show called Junie B Jones and I’ll be playing Keys 1 and conducting the pit band for that show too! 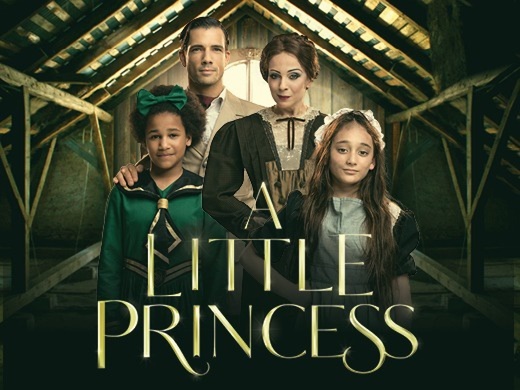 A few months ago, I saw an email advertising open auditions for Andrew Lippa and Brian Crawley’s musical A Little Princess. The auditions were for the main child leads and, needless to say, I was a little bit too old to go! However, there was contact information listed, so I decided to send an email to express my interest in the show and offer my assistance in any way possible. To my great surprise, I received an email back from the executive directors of the show, who had forwarded my email to Andrew’s full-time assistant. There were a couple of emails back and forth between us and about a week later I found myself sitting in my study, on a Skype call with Mr. Andrew Lippa himself (mildly freaking out, as he is my all-time favourite composer, but managing to keep calm and composed… if you’ll pardon the pun!) He talked to me about the possibility of my being his assistant; we went through the role, his expectations of me and what I should expect on rehearsal days. So it came to be that on Friday lunchtime (25th June), I found myself carrying a chicken salad and diet coke to the Southbank Centre, to give to Mr Lippa, in a rehearsal for his musical, ‘A Little Princess’. I made notes during the Sitzprobe and formatted them to send in the evening. I got to listen to incredible singers, and musicians (from the Royal Philharmonic Concert Orchestra) perform incredible music, being conducted by the incredible man who wrote it. We had dinner together and we talked a bit about me and my background, and also about his work and his life. He gave me some tips on making it in the industry, how to conduct a cast and orchestra and how the process of composing a full-length musical begins. It was a little surreal, considering Lippa’s music has been some of my favourites for years! 9am – I arrived at Andrew’s hotel room, ready to head to the theatre. Helped him with his bags, got in a car and went through the Artist’s Door to the Royal Festival Hall at about 9:30. 10:30am – Technical rehearsal. I sat in the 2nd Violinist’s chair onstage and looked out at the 2,900 soon-to-be-filled seats, down at the performers, then back at Andrew, who was conducting the pianist and actors. Once again, surreal. 2:30pm – Dress rehearsal! I sat in the middle of the front row and watched the full thing. It was a fantastic opportunity and if anybody went to see the performance, you’ll know just how talented that cast was. 5pm – At roughly 5pm, we broke for dinner and Andrew went to get prepared for the show. All’s going well until I realise the showbiz after party is tonight and I’m going to be there. I look down at my £6 Primark plimsoles… I need shoes. 6pm – With an hour ’til house opens and Andrew getting ready in his dressing room, I walk 15 minutes to the Strand and frantically run around trying to find a cheap size 5 pair of heels. After spending 15 more minutes in a Next, I decide on a pair that fits and hurry back to the theatre. 6:55pm (5 minutes before house opens): I wait for the slowest lift in the world to come to my floor, shoot up to the stage and check everything is how it should be: Baton in place, scores organised, water bottles in position. I race back to the dressing room and get there on the dot of 7pm. Showbiz life: nailed. From here, my job was essentially finished for a couple of hours. Besides paging the curtain, I was free to watch the show on the monitors and listen to the roar of the crowd after every number. I became a bit like a backstage helper, helping cast members find props, bringing cups of water to nervous performers, drawing the curtains after an exit/entrance. It was wonderful to see the smiles on the kids’ faces especially – when they came off stage after a big number! At roughly 10:30, after packing up Andrew’s music, I joined him at the after-show party, where I was introduced to performers, press and agents alike. I shook hands with so many people I couldn’t even begin to count and exchanged details with a few too! Being in the presence of so many experienced industry professionals was amazing and I was happy to listen to them talk about their experiences working in musical theatre, television, film; I even spoke to some musical directors which made my heart leap just a little bit! After that, myself and his full-time assistant, Matt Webster, got Andrew into a car back to his hotel, rejoined and stayed at the party ’til it ended at 11pm. I got the train home, albeit a little too tipsy for my own good, and hit the hay for a needed sleep. Well, as someone whose life goal is to be a West End Musical Director, these two days gave me the opportunity to see how professional theatre comes together. I’ve worked in ‘Am-Dram’, but this was very different to that in a lot of ways. The main difference is the amount of people it takes to make a show. In the world of youth theatre schools, a sound 15 people will make up the backstage team. In professional theatre, there were at least that many people on the stage at any given moment, with another 30 backstage at least! You realise everybody has their own very specific job, which is of the utmost importance to them, but which others do not realise is happening. It is always non-stop and I barely sat down for two days… but that’s the exciting thing. There was always something to observe. I observed how to conduct an orchestra, two choirs and a full cast simultaneously. I observed how hierarchy works in the business. I observed how and how not to behave in the working world and it’s given me a brilliant new outlook to apply to my own endeavours at University. A lot of life lessons were learned in a very short space of time, but I am honoured to have worked for my favourite composer, on a fantastic production at the Royal Festival Hall. One of the best experiences of my life so far, for sure! Continuing the series profiling Music Scholars at the University of Kent; this week, first-year conductor, music director and instrumentalist studying Drama and English Language and Linguistics, Hannah Ost. An early childhood video shows a little six year old girl (me) sat at a grand piano, tentatively hammering the notes of a nursery rhyme. My mum had been teaching me piano from aged five and by junior school I was just about ready to take my first grade. Eight of them later and I am now a Music Performance Scholar at the University of Kent! Music has always been one of my main passions. I spent my Saturday mornings at a music centre, playing lead cello in a youth orchestra, singing in a choir and taking lessons in not only piano but other instruments like African drums and recorders too. I performed in concerts and recitals, whilst steadily working through the ABRSM grades in piano. Growing up in a family of singers, car journeys became concerts for the four-part version of the Von-Trapps, or sometimes SATB choir recitals. My sister and I were in choirs all throughout our education and in late junior school, I became a chorister for the Rochester Cathedral Girls Choir, performing on Classic FM at age nine and staying up until midnight on the 24th December to chorally welcome in Christmas Day. I joined my secondary school Chamber Choir as a soprano and I was part of the Kent County Choirs for almost the whole of my secondary education. Being a member of so many choirs meant I developed a real passion for the workings of the voice and I worked hard to improve my voice in a wide range of genres. I joined a Musical Theatre school when I was fourteen and learnt how to sing jazz, musical theatre and belt, finding my background in classical singing to be a huge help in the development of my voice. I started a YouTube channel, posting covers and original songs and I auditioned for shows, performing in musicals, which became my main passion from Sixth Form onwards. I showcased a repertoire of Stephen Sondheim music for my Music A Level, having taken Music GCSE in Key Stage Four, and took a couple of professional singing lessons to help me sing what were several particularly challenging pieces. At Sixth Form at Fort Pitt Grammar School, I started to broaden my musical interests and a friend recommended me for a job at a local theatre company I had performed with. Through this, I became the youngest ever employee of a youth theatre company called RARE Productions, joining the team as a Musical Director, aged seventeen. Now, I am the coordinator of my local area; as well as my musical directing, I manage the show team and am the main point of communication between my area and the Head Offices. 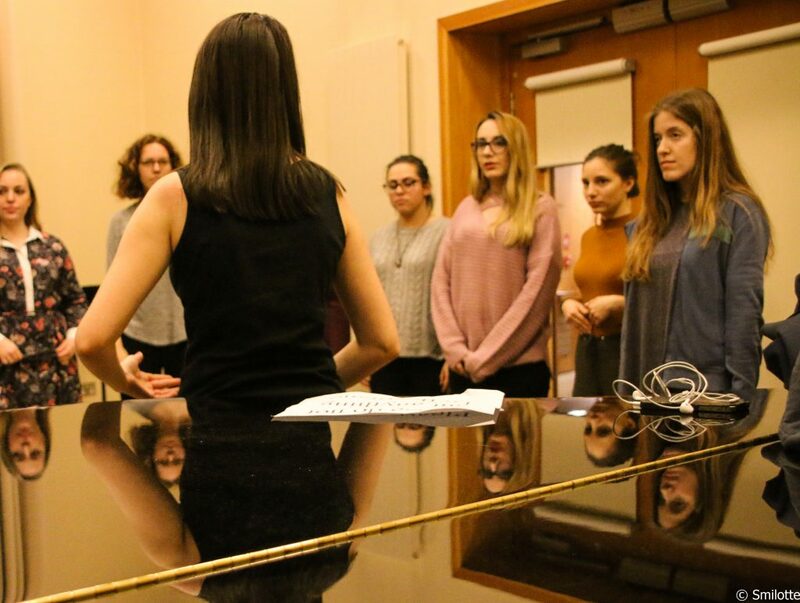 Finding that I really enjoyed musical directing, I started my own choir at school and taught a complex and diverse repertoire to the students who joined. I found I could combine piano and voice in a unique way, so accompanying, conducting and teaching added to my musical passions. I went on to write, direct and musically direct my own show at Fort Pitt, playing keys and conducting our live band in the final performances. So, onto university life. Well, I’ve only been here for a term and a half but I don’t think I could have been busier if I tried! Auditioning for the scholarship was very nerve-wracking, especially since I had had a bad case of ‘Freshers’ Flu’ for about a month! 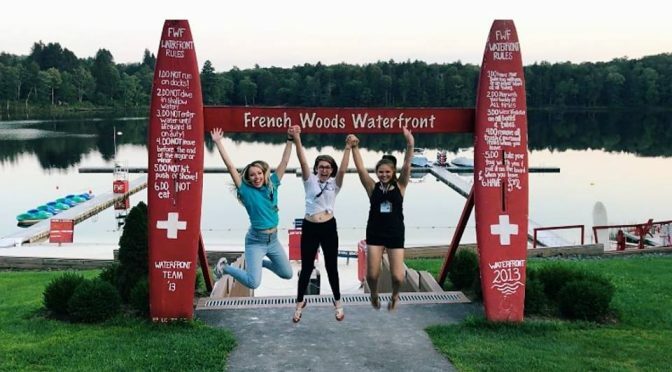 I was told I’d achieved a scholarship in Musical Directing and am using the money from this to fly out to America this summer, to work as a resident Musical Director/Pianist at French Woods Festival for the Performing Arts – a prestigious performance-based summer camp, in the state of New York! 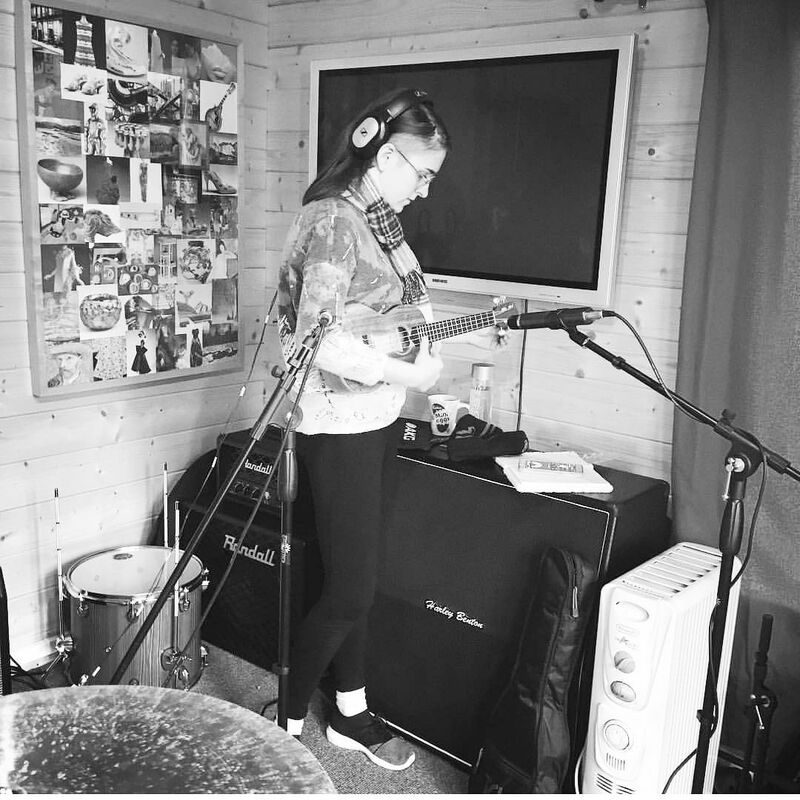 I have founded my own vocal tuition society called ‘The Pitch Project’ and I now hold weekly vocal classes for my members, using all the skills I have learnt from my background in voice and musical directing to teach a wide range of vocal techniques and genres. I have had great feedback from those involved and meetings regarding a future collaboration with Kent Sing! 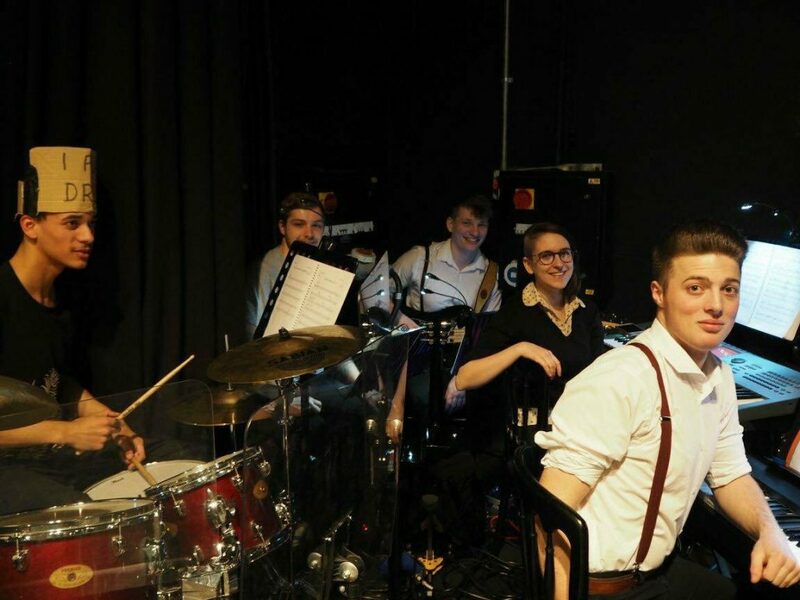 I have been a Musical Director for the Musical Theatre Society, leading some rehearsals in both of their showcases so far and I also had lots of fun playing keyboard in the pit band for their recent musical Bonnie and Clyde at the Marlowe Studio. 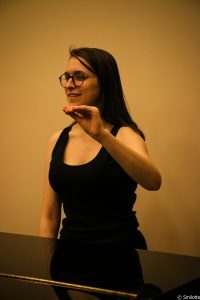 Outside of the music department, my studies in Drama and English Language and Linguistics have complimented my passion for vocal studies; I have learnt more about where the voice comes from, how the body acts as a resonator and how to correctly position vowels and consonants in speech. English has especially supported my love of writing and using some money from my scholarship, I self-released a debut EP of original music, called Let Me Read, both in hard copy and on various online music platforms, including Spotify, iTunes, Amazon and Google Play Music. This past December, I took my keyboard and ukulele (which, along with mandolin and guitar, I have been steadily teaching myself for about five years) to Ewan’s studios at ETB Mixing and recorded all the instrumental and vocal lines for four original songs in just nine hours! Needless to say, it was a crazy day! 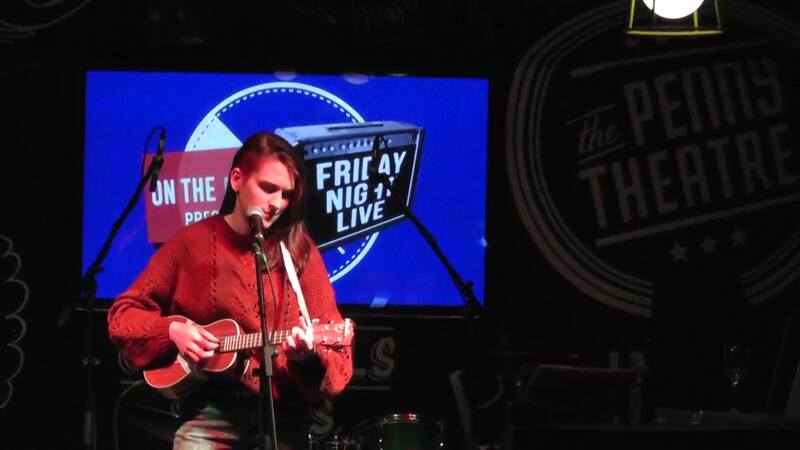 When I’m not practising over in Colyer-Fergusson, or in the library studying (or in my bed, sleeping), you might find me gigging at pubs and bars around Canterbury, both on-campus and off. 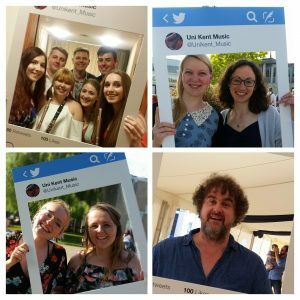 I am enjoying networking with local musicians and have met so many wonderful people during my first year at University so far. I can’t wait for what the rest of my time here will bring! Listen to Hannah on Spotify here, and follow her on Twitter here.